One (1) 12"x 12" Sticker Sheet. Twelve (12) Sheets 12"x 12" Paper. 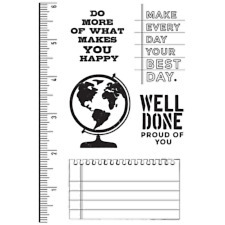 Six (6) Double-sided Designs (2 each). 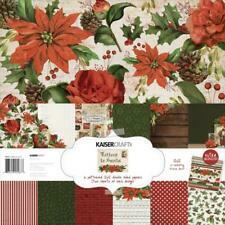 KAISERCRAFT-Wood Flourishes. 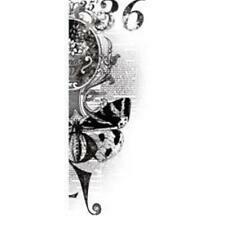 Made of 2mm plywood they look fantastic plain, painted, papered, inked, stamped or embellished. Browse By Categories. Trending at $7.39eBay determines this price through a machine learned model of the product's sale prices within the last 90 days. Imported.". These are for reference only and should be considered illustrative. Product images are for illustrative purposes only and may differ from the actual product. Due to differences in monitors, colors of products may also appear different to those shown on the site. By Kaisercraft NEW. Mini Crochet Doilie Flowers. Romantique Collectables Collection. by Kaisercraft New. By Kaisercraft New. Pen and Ink Collectables Collection. 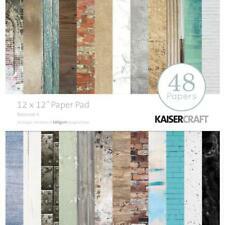 A fun addition to your paper crafting projects! Photo friendly. By Kaisercraft New. PROVINCIAL Collectables Collection. By Kaisercraft New. Anthology Collectables Collection. Thin wood pieces. Made from 2mm Ply Wood. If you do NOT see 2 in the picture then its NOT 2! What’s in the picture is what you get! I do not make money off it! 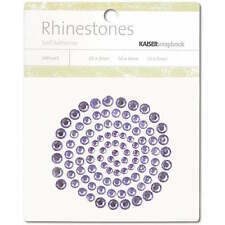 Kaisercraft Self Adhesive Rhinestones 100 Pkg 3 Sizes Black Crystals. By Kaisercraft New. FACTORY 42 Collectables Collection. WOODEN FLOURISHES. You are appreciated! I like to leave you smiling! 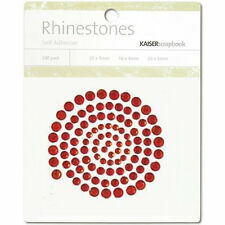 Kaisercraft Clear Acrylic Album Circle 4 Pages with Rings 6" NEW!!! Circle acrylic album from Kaisercraft. 4 die cut pages. by Kaisercrafts NEW. Marigold Collection. by Kaisercrafts NEW. 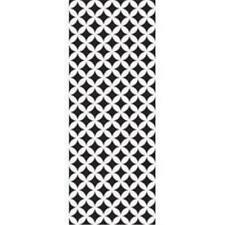 Great for scrapbooking, card making, and other general crafts! Design: Doily. Photo friendly. By Kaisercraft New. Wandering Ivy Collectables Collection. Christmas Carol Collection. Card sample is NOT included. by Kaisercrafts NEW. Blubelle Collection. by Kaisercrafts NEW. 12 specialty papers. 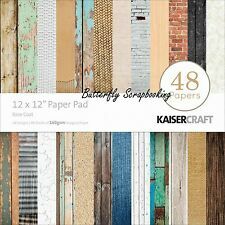 Beyond The Page is a fabulous line of products that is made of quality press boards. Paint, ink, chalk, paper and embellish your way to a truly unique piece of art. Kitchen, Dining, Bar. Other Information: SB2444. Simply adhere them to any acrylic block, ink and stamp! Photo friendly. Conforms to ASTM D 4236. CAT Pawfect CollectionCollectables. by Kaisercraft New. By Kaisercraft New. FULL BLOOM Collectables Collection. 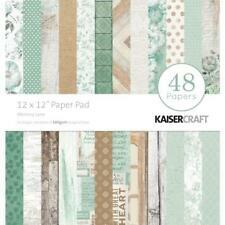 By Kaisercraft New. Acetate Shapes Die Cuts. 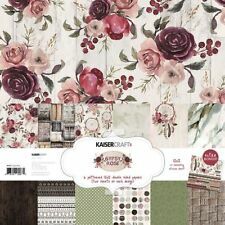 Kaisercraft Clear Acrylic Album Large Square 4 Pages with Rings 7 x 7 NEW!! !